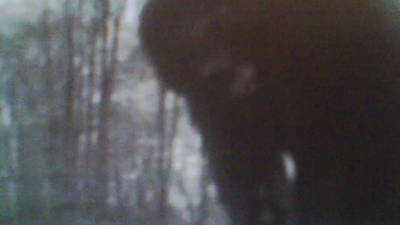 "If you seen this figure in the woods would you think it could be a bigfoot?" or in other words "Could it be a Bigfoot?" 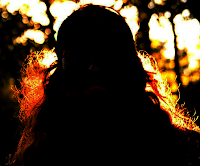 Just imagine seeing this dark, hairy figure moving around in the woods, late in the day at the edge of dark. I think this was taken in Louisiana -- I think some people might even take a shot at this figure under the right lighting conditions. Thanks and I hope you enjoyed that. I dunno, he could be a Bigfoot. I mean, we can't see his feet, so how would we know? Johnny Van Zant of Lynyrd Skynyrd?